All of us at Heaven’s Best Carpet Cleaning want to give you some Great Holiday Cleaning Tips for your homes in Birmingham, AL! Nothing like the festive music on the radio these days to get you in the mood for holiday cheer and the mood to get some cleaning done before pulling out all of those decorations. Once the busy season starts, you’re going to need some of these following tips to help you stay on top of the cleaning while on the go. 1. Keep your cleaning supplies handy in a portable caddy that you can move quickly from room to room. 2. Make it a family affair – give the children clean socks on their hands and send them about dusting shelves; or give them a spray bottle of floor cleaner and a pair of micro fiber slippers to polish the floor the floor to a sparkling shine. 3. Quick Toilet Cleaning – no time for a proper toilet cleaning? Throw two denture tablets in to the bowl and watch them work their magic. Let it sit several minutes and then flush clean. 4. Sweep Kid Clutter - use a broom and dust pan to quickly sweep those small toy pieces, like Legos, back into their proper space. 5. Cobweb magic – pull a clean pillowcase over your broom and hit those corners with a quick swipe, no ladders required. 6. Crumb patrol – use a lint roller to hit those crumbs on your upholstered furniture when you don’t have time for the vacuum. 7. Upholstery Splotches – grab a baby wipe to quickly wipe away any obvious signs of spots and splotches. 8. Erase Scuff Marks – Use a gentle white pencil eraser to quickly remove those scuff marks. 9. Extend yourself and save time – Add an extension cord to your vacuum to keep from having to unplug and plug while moving from room to room. 10. Finally, Call a Professional! 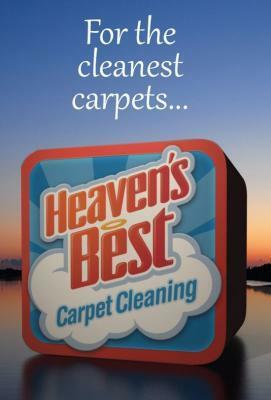 – And when you absolutely need to SAVE yourself some time, the BEST HOLIDAY CLEANING TIP for Birmingham, AL during this holiday season is to give Heaven’s Best Carpet Cleaning a call at 205-618-9150 and find out exactly what all we CAN DO to save you time and energy at a GREAT PRICE!